TECAPEEK® stock shapes are made exclusively with Victrex PEEK polymer. 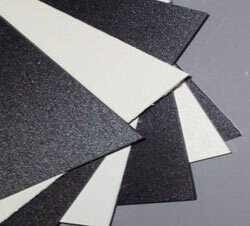 TECAPEEK is a unique, semi-crystalline, high temperature engineering thermoplastic. It is an excellent material for a wide spectrum of applications where thermal, chemical, and combustion properties are critical to performance. Especially significant in this regard is TECAPEEK's ability to retain its flexural and tensile properties at very high temperatures in excess of 250°C (482°F). The addition of glass fiber or carbon fiber reinforcements enhances the mechanical and thermal properties of the basic TECAPEEK® material. For unreinforced TECAPEEK™, the HDT @264 psi is 152°C (306°F). The addition of 30% reinforcement results in a dramatic increase to 315°C (600°F). TECAPEEK™ is insoluble in all common solvents. TECAPEEK™ exhibits superior resistance to high doses of gamma radiation. TECAPEEK™ has an excellent resistance to hydrolysis in boiling water and superheated steam (sterilization/autoclavability) at temperatures in excess of 250°C (482°F). TECAPEEK™s exceptional property profile enables it to be utilized in many of the most critical areas in general industry, as well as in the automotive, marine, nuclear, oil well, electronics, medical and aerospace fields. This information reflects the current state of our knowledge and is intended only to assist and advise. It is given without obligation or liability. It does not assure or guarantee chemical resistance, quality of products or their suitability in any legally binding way. Values are not minimum or maximum values, but guidelines that can be used for comparative purposes in material selection. They are within the normal range of product properties and do not represent guaranteed property values. Testing under individual application circumstances is always recommended. Data is obtained from extruded shapes material unless otherwise noted. References to FDA compliance refer to the resins from which the products were made unless otherwise noted. All trade and patent rights should be observed. All rights reserved. Data sheet values are subject to periodic review.